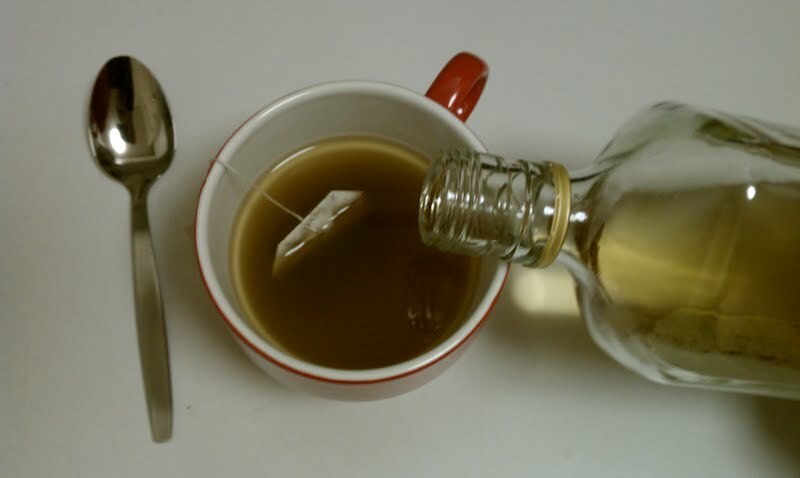 In my toddy research, the one thing I found was that there are several interesting ways to make one using whisky or rum (so far, I prefer whisky), honey and lemon. I’ve read recipes made with apple juice, apple cider, tea, plain hot water… others recipes spiked with brandy and one recipe recommended sticking a hot poker from a fire inside the mug. The innovations are endless but the drink remains heartwarming. Below is my simple, homemade version – derived from several recipes I’ve read – and includes ingredients easily found in your pantry. 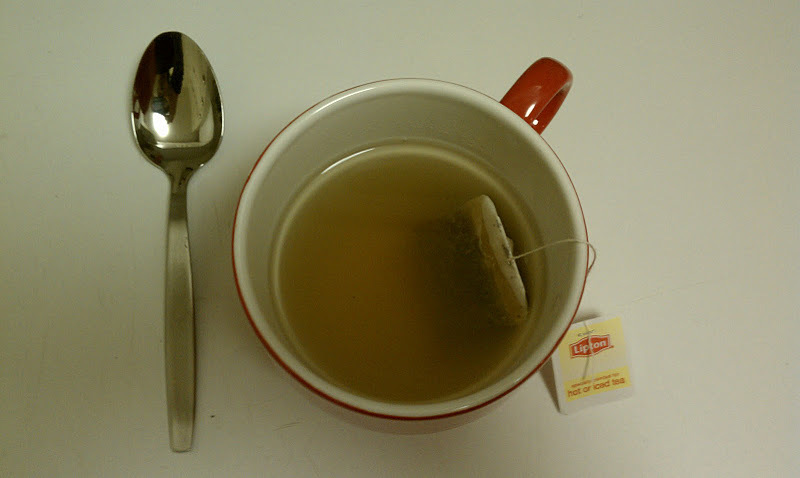 Bring hot water to a boil in a tea kettle. 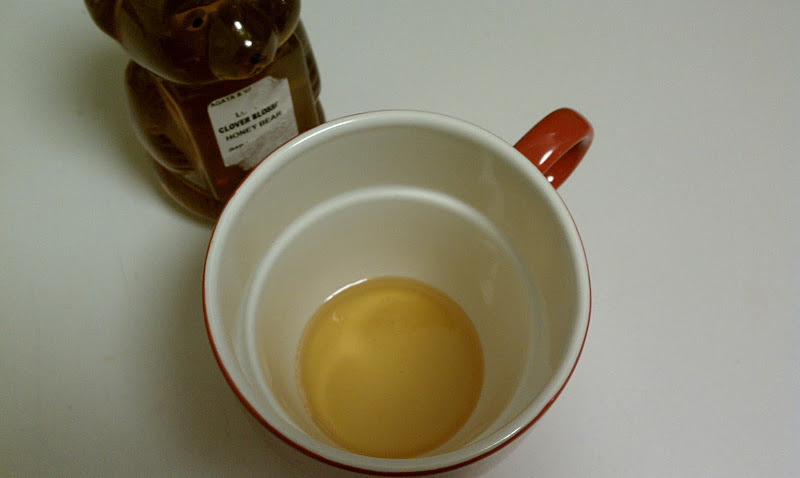 While it’s heating up, cover the bottom of a heatproof toddy glass or mug with honey (about 1 Tablespoon’s worth or if you love honey, a little more never hurts). 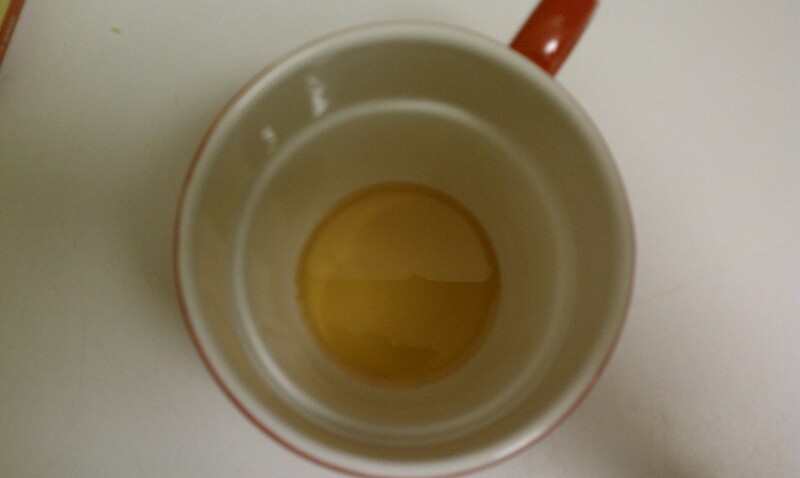 Pour the hot water into the glass and give a quick stir to break up the honey at the bottom. Add the tea bag and let stand for a few seconds. Next, add 0.5 – 1 oz. of whisky (depending on the size of your mug). Allow to steep for about 1 – 2 minutes. Remove tea bag. 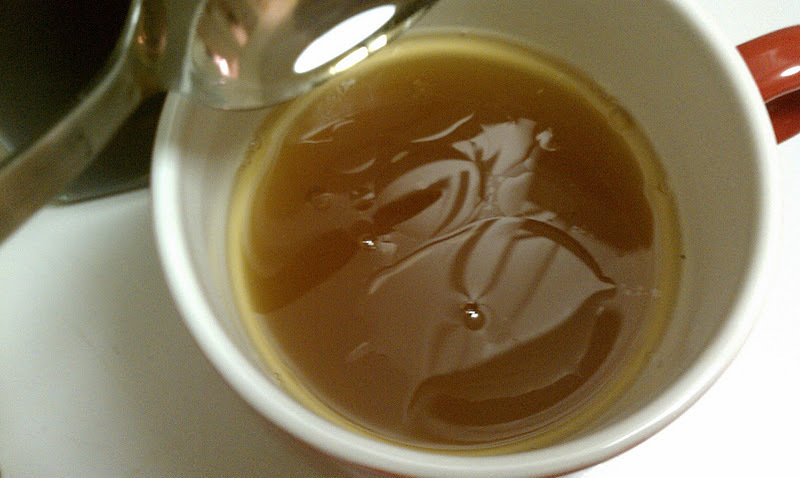 Stir with a spoon to combine. Next, drizzle about 1/2 teaspoon of toasted sesame oil on top. Option to garnish with a wedge of lemon. 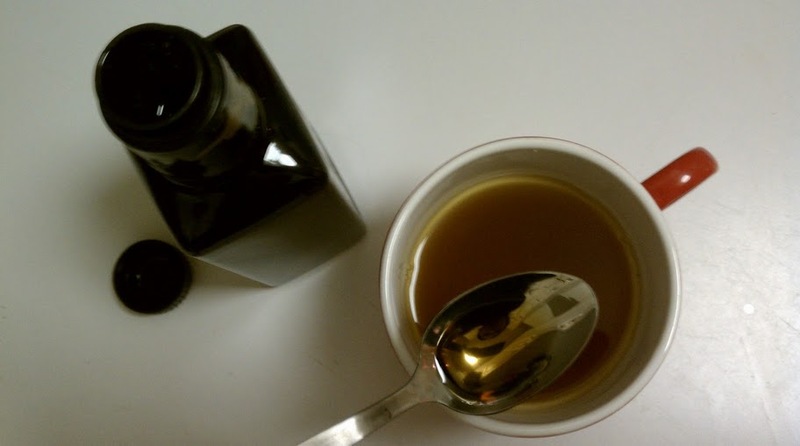 The addition of toasted sesame oil gives the toddy’s warmth a nutty kick. At first I was skeptical but after one sip I was devoted. The sesame oil gives the toddy a wooden glide and is the perfect drink to settle down with at home in the upcoming cold weather season. I invite you to make one. Cheers! Previous Post Happy Thanksgiving! Time for drinks!